Just like humans, dogs—and even cats—can suffer from seizures and may require veterinary care. A seizure is a sudden eruption of electrical activity in the brain. Seizures, such as cluster seizures, grand mal seizures, and non-epileptic seizures, generally occur in a single part of the brain. The symptoms or activity during the seizure can tell you what part of the brain is involved. For instance, if your dog moves its legs violently during a seizure, the seizure is likely in the cerebellum area of the brain. dogs with seizures can be a frightening thing for all dog owners to witness in their dog. They appear painful and your dog could defecate, urinate, or drool uncontrollably during the event. If your dog suffers from seizures, there is a lot of information you need to know. There are many illnesses, conditions, or triggers that can cause seizures in dogs. Causes could include high or low blood sugar, kidney failure, electrolyte imbalance, brain trauma, anemia, liver disease, stroke, brain tumors, or ingested toxins. In kidney failure, for example, the kidneys are unable to cleanse the body of toxins; therefore, this accumulation of toxins creates unstable body chemistry and the brain reacts. Seizures can also happen during times of shifting brain activity, like when your dog is excited, the dog is waking up, or the dog is falling asleep. Typically, dogs will appear completely normal between seizures. The grand mal seizure is the most common. During this kind of seizure, your dog could lose consciousness and shake. In this type of seizure, the electrical surge happens all over the brain. These seizures can last either a few seconds or a few minutes. The next type is a focal seizure, where the abnormal electrical surge occurs in an isolated part of the brain. Focal seizures create strange movements in a single limb or on one side of the body. These can have a duration of only a couple of seconds, but there is the possibility that they can start as focal and move to grand mal. A psychomotor seizure is quite different. It involves strange behavior lasting a few minutes. Your pet could start attacking something that isn’t there. Though some dogs exhibit peculiar behavior on a regular basis, those suffering from seizures will display the same behavior every time a seizure strikes. The pre-ictal phase – this is a period of strange behavior where the dog could hide, look nervous, or find the owner. There could be restlessness, nervousness, shaking, whining, or drooling. This behavior could occur over minutes or hours—almost as if the dog knows what’s coming. The ictal phase – this is the seizure itself. During this time, the dog can lose consciousness or have a change in mental status (like snapping at invisible objects). During a grand mal, the body muscles contract erratically and spastically. Your pet will fall on its side and move its leg like it’s paddling, and it will draw back its head. The dog could drool, defecate, or urinate during the seizure. If the seizure doesn’t stop within five minutes, this is an emergency and immediate medical attention is required. 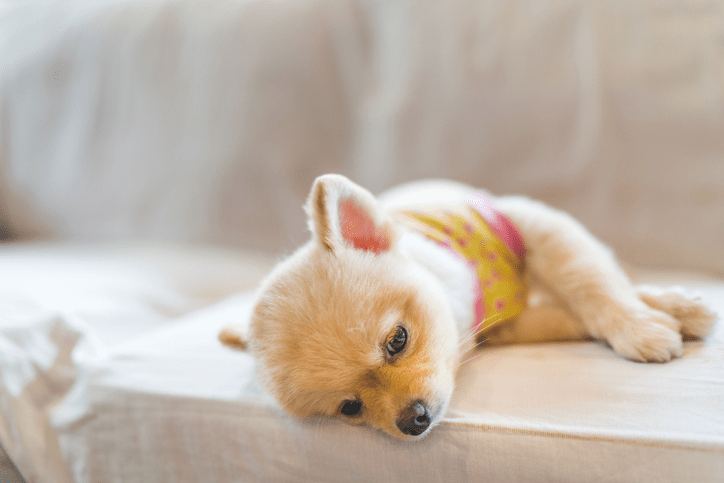 The post-ictal phase – in the time right after the seizure ends, your dog will be confused, drooling, disorientated, pacing, restless, or temporarily blind. It is a terrifying time for all pet owners. When your pet has a seizure, you must remain calm. Move him away from any furniture or anything else that he could get hurt on. Steer clear of the dog’s head and mouth as he could accidentally bite you. Don’t put anything in the dog’s mouth. If a seizure goes on for more than 2–3 minutes, your dog could overheat. Turn on a fan and face it to your dog; you can also put cold water on his paws for cooling down. Talk quietly to your dog and reassure him. Don’t touch your dog at this point as he may unknowingly bite. Call your vet as soon as the seizure stops. If the dog’s seizure is longer than five minutes or your dog has several seizures in a row, get to the vet right away. The longer a seizure, the higher your dog’s temperature will become, and he could start having trouble breathing. A lack of oxygen could cause serious brain damage and your vet may have to sedate your dog for its own safety. 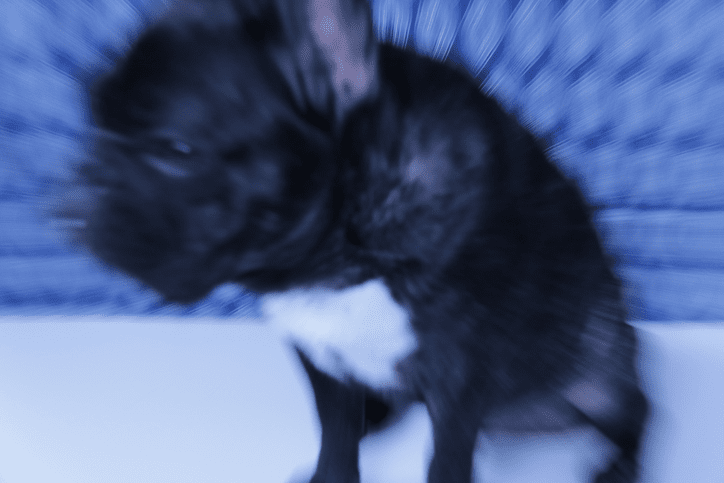 After the seizure is over, your pet will become disoriented and confused. It could take the dog time to recognize his surroundings. Dogs don’t know when they have had a seizure. Keep your pet as comfortable as you can. Be gentle and use a soft tone of voice. Use what you know about your dog’s personality to give him as much comfort as possible. In the time immediately following a dog seizure, you must monitor your dog to make sure he does not have another seizure. Multiple seizures during a short time frame can cause brain damage. If your dog has several seizures, get to an emergency vet as soon as possible. While many dogs will recover immediately from a seizure, the average time for recovery can be from a few minutes up to 24 hours. There is nothing you can do to prevent a seizure until one happens. Vets will generally come up with a treatment plan if your dog has more than one seizure within 30 days, has seizure clusters (one after another after another), or has lengthy grand mal seizures. 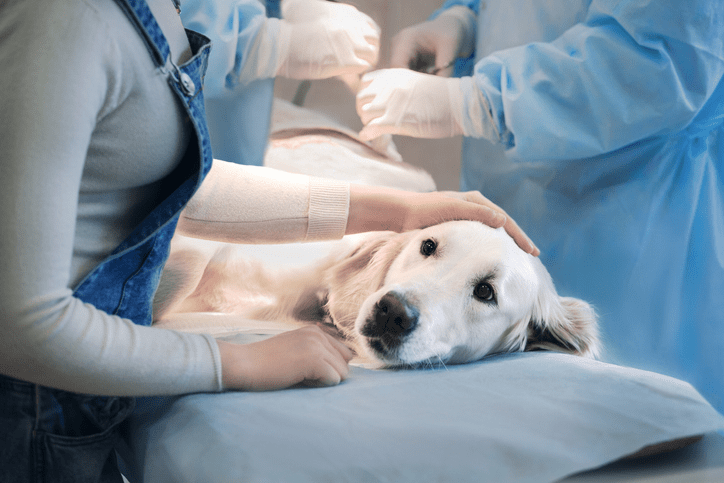 Most vets will use phenobarbital or potassium bromide to treat dog seizures. After the anticonvulsants are started, they must be given for the remainder of the dog’s life. Evidence suggests that if anticonvulsants are started and then stopped, the dog may be at higher risk of experiencing more severe seizures. Caring for a pet with a seizure disorder can be tough. It is heartbreaking to watch your dog go through a seizure and the cost for treatment can be high. Just know that the love and care you give your dog will be the best medicine of all.